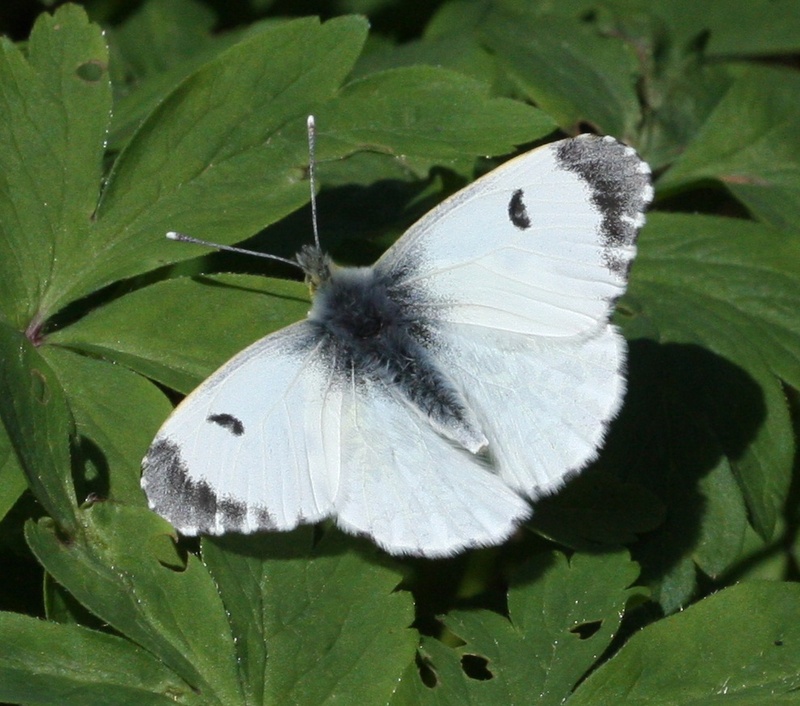 The male and female of this species are very different in appearance. 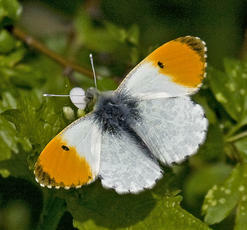 The more-conspicuous male has orange tips to the forewings, which give this butterfly its name. 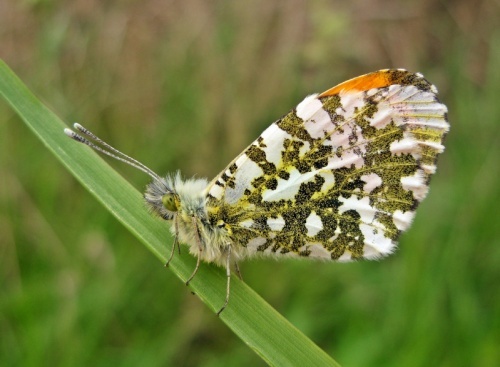 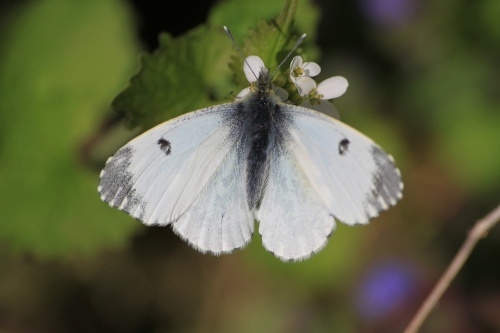 These orange tips are absent in the female and the female is often mistaken for one of the other whites, especially the Green-veined White or Small White, but both sexes of the Orange Tip have a lovely green and white mottling on the underside of the wings. 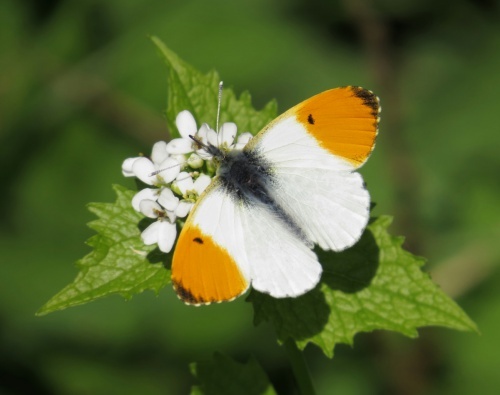 The female can be confused with other white butterflies but the mottled underside and rounded wing tips help to distinguish the Orange Tip. 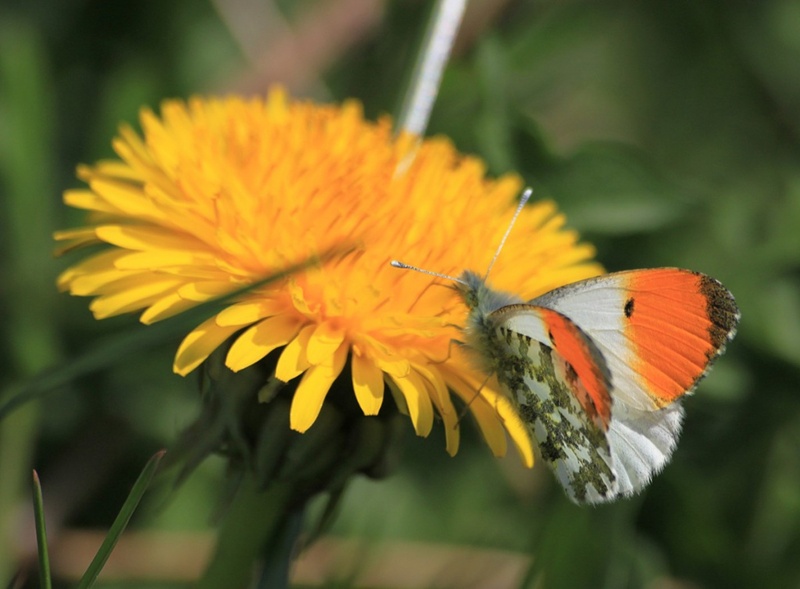 The species has a wide range of habitats, which include country lanes, hedgerows, riverbanks, woodland margins and rides and damp meadows. 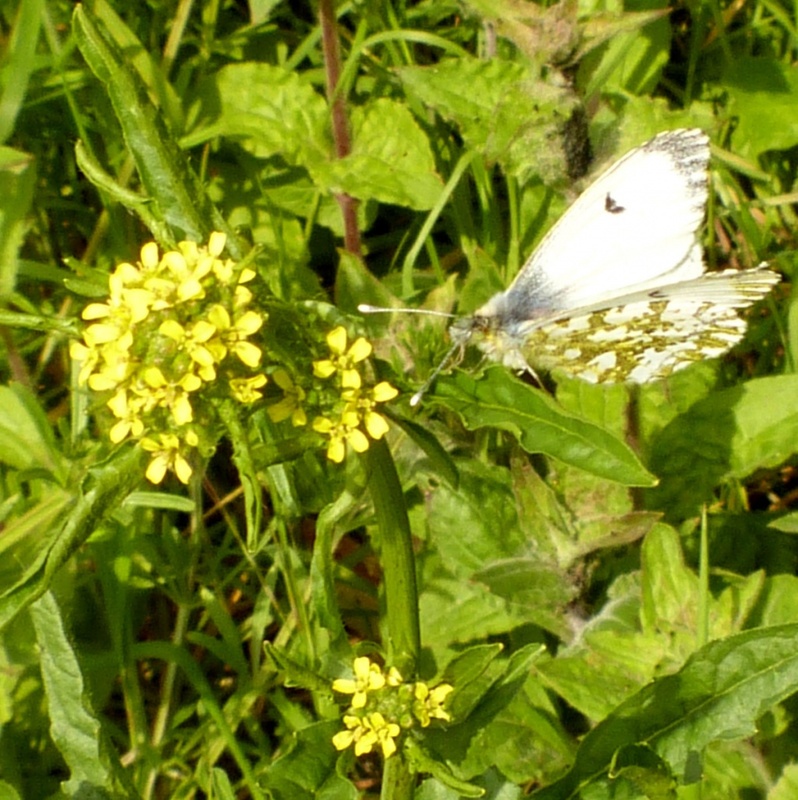 The species will also turn up in gardens. 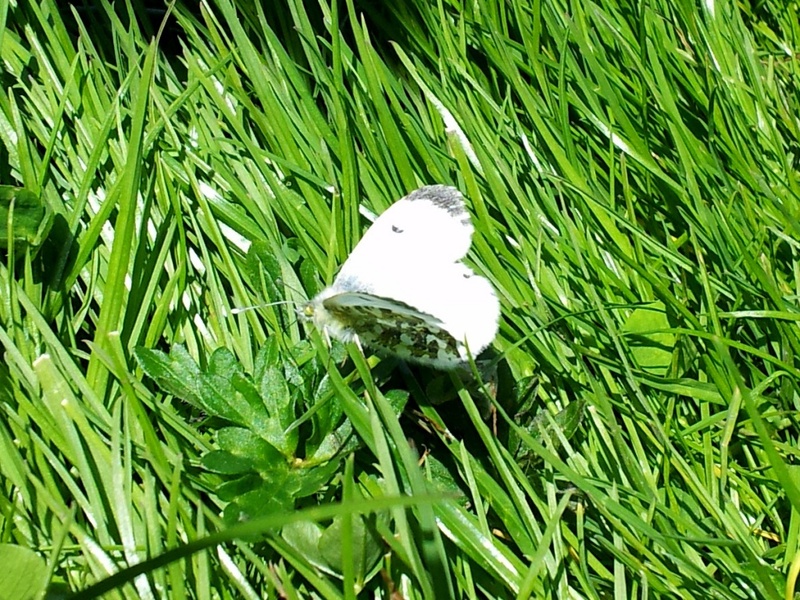 April to June. 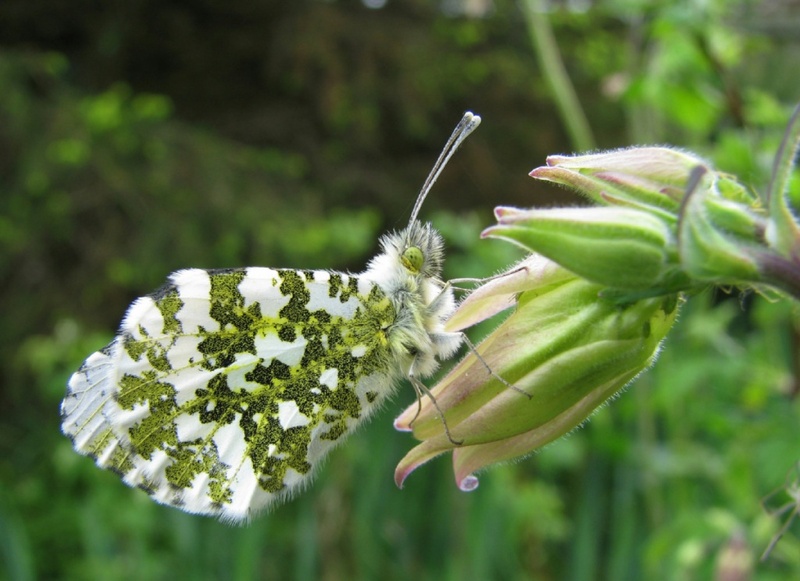 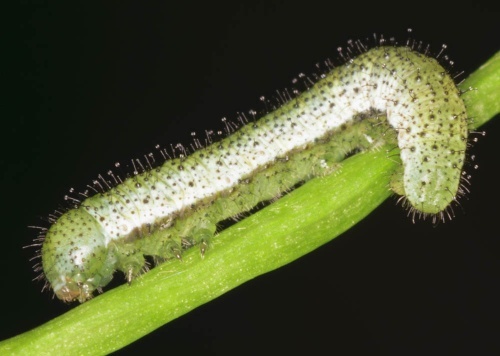 The Orange-tip is a true sign of spring, being one of the first species seen that has not over-wintered as an adult. There is a single brood each year, with adults flying from the beginning of April, through May and into June. 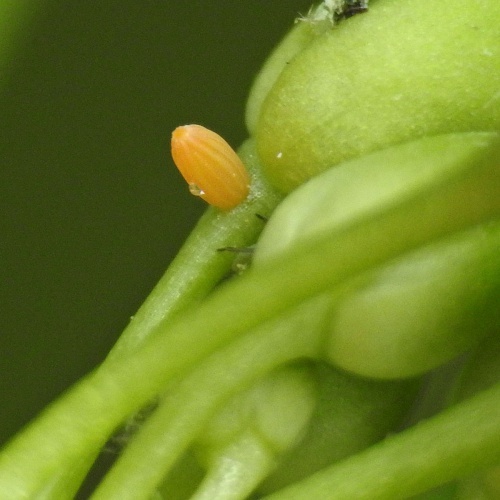 In exceptionally early years a small second brood may appear. 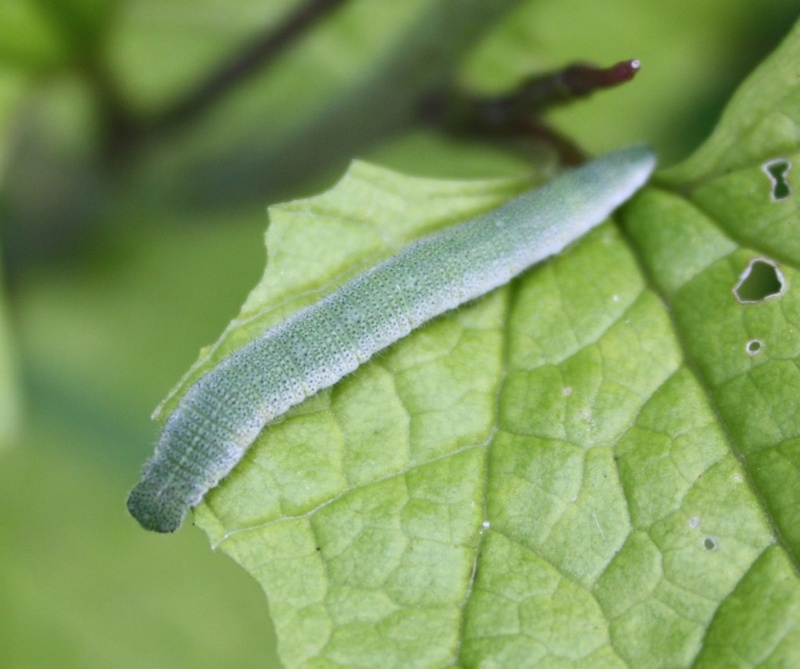 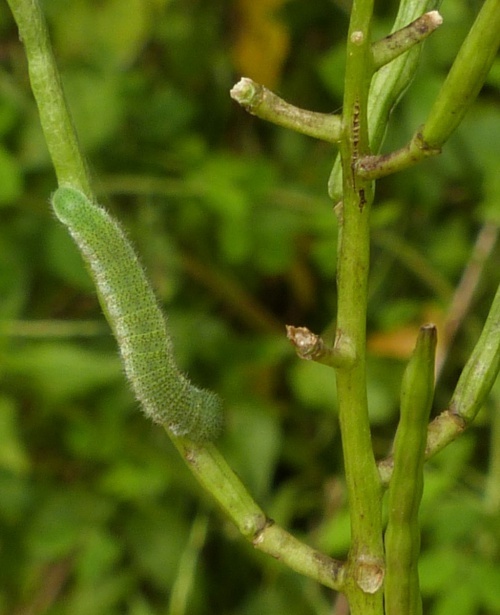 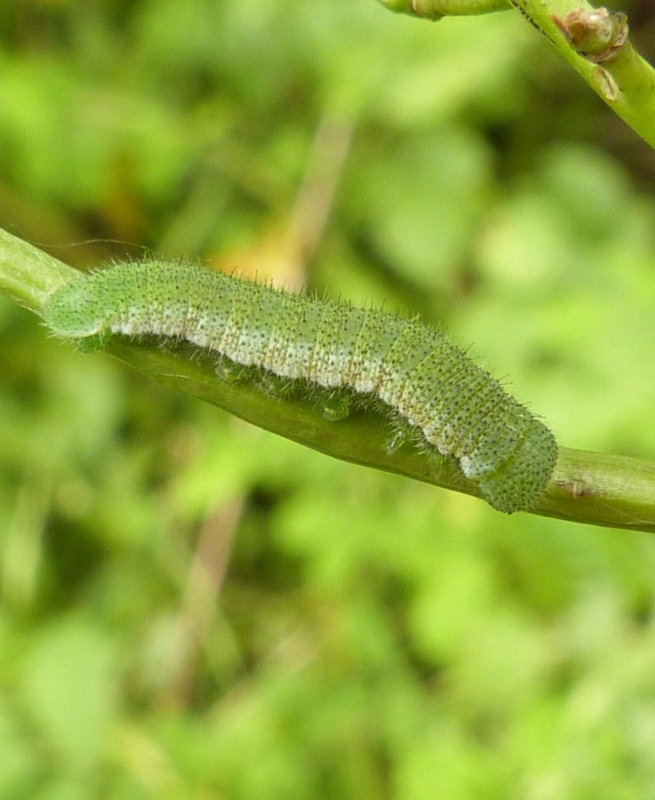 The main larval foodplants are Cuckooflower (Cardamine pratensis) and Garlic Mustard (Alliaria petiolata). 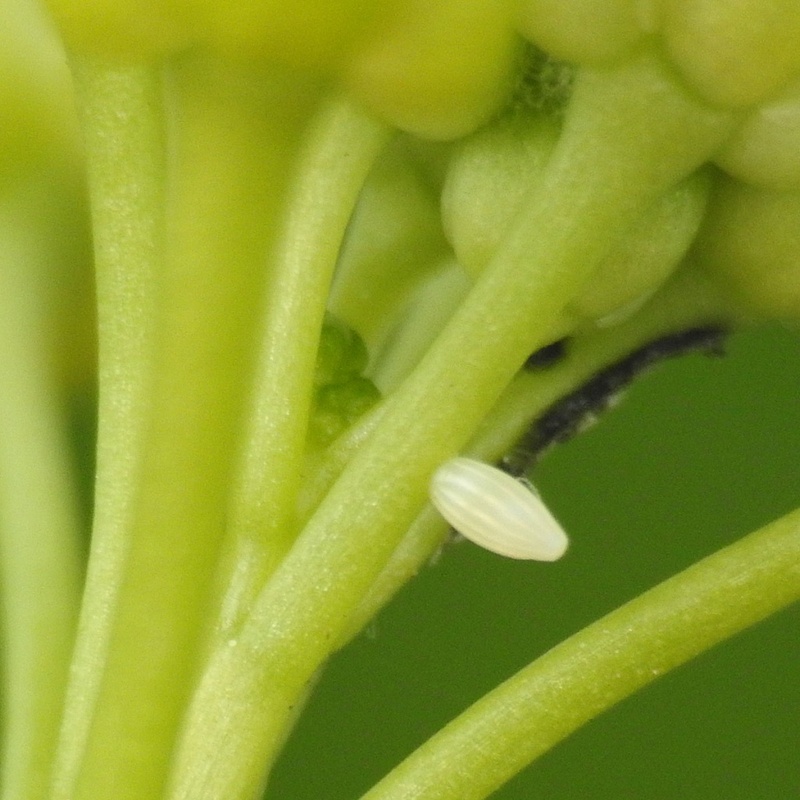 It overwinters as a pupa. This butterfly is found throughout England, Wales and Ireland but is somewhat local further north and especially so in Scotland.